On September 6-7th, 2018, E-Techco (Qianhai AnyCheck) was invited by Huawei-led leaders to go to Jining, Shandong to participate in the 2018 Huawei-Jining Cloud Industry Cooperation Summit Forum. At the meeting, he listened to the wonderful speeches of leaders and experts. At the same time, with the Kunming Municipal Government Delegation of Yunnan Province, the Baoshan Municipal Government Delegation of Yunnan Province, the Fuling District Government Delegation of Chongqing, and the heads of cooperation of some regions of Huawei, etc., many leading experts on life science research, AI medical cloudization solutions, In-depth business communication was carried out on major issues such as health terminal equipment manufacturing and smart city construction. It is reported that this summit forum was jointly organized by Huawei and the Jining Municipal Government. 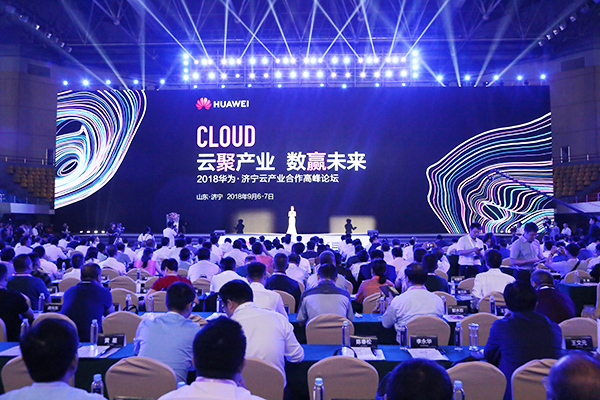 With the theme of “Cloud Industry, Winning the Future”, 2,000 people including government leaders, industry elites, business leaders and media representatives attended the event, focusing on the forefront of the industry. To explore how to use cloud computing digital technology to help small and medium-sized enterprises to innovate and develop, to promote the accelerated development of artificial intelligence and industrial Internet, to create urban intelligence, AI to build a beautiful new era. With the support of Mr. Zhang Guanjing, Chairman of the Board of Directors, Mr. Zhao Li, Deputy General Manager of E-Techco (Qianhai AnyCheck) Shijiazhuang Branch, represented the E-Tech Group and Chongqing Fuling District Government Delegation, Kunming Municipal Government Delegation of Yunnan Province, Yunnan Province The Baoshan Municipal Government delegation and some of Huawei's regional cooperation leaders conducted high-end business dialogues and exchanged opinions on AI medical cloud, medical big data, and smart medical care. On the morning of September 7th, Mr. Zhao Li attended the Kunming-Huawei Cloud Industry Partner Conference. At the meeting, Mr. Zhao Li from our company gave a letter to Li Weihong, deputy director of the Kunming Municipal Labor and Information Committee, Feng Jun, director of the Information Industry Development Department of the Industrial and Information Committee, Wang Fuqiang, deputy director of the Big Data Administration of Wuhua District Science and Technology Bureau of Kunming, and Kunming National Economic and Technological Development. Liu Nannan, deputy director of the District Investment Promotion Second Bureau, Guo Qing, deputy director of the Kunming Chenggong Information Industrial Park Management Committee, Gong Ming, general manager of the Yunnan Science and Technology Innovation Park, Guibin, director of the Yunnan Science and Technology Innovation Park Management Committee, and Kunming Smart City Construction Investment Li Haoyu, deputy general manager of the company, and other leaders reported on E-Techco Group's innovation, medical AI, medical information, health management and other work. The two sides will initially discuss cooperation in life science research centers, migratory bird-style health care projects, health terminal equipment manufacturing, smart city construction, etc., and actively assist the Kunming Municipal Government, Kunming Municipal Health Planning Commission and other government departments to declare national health care. The Big Data Application Demonstration Base helps Kunming citizens to establish a Kangyang Big Data Center platform. 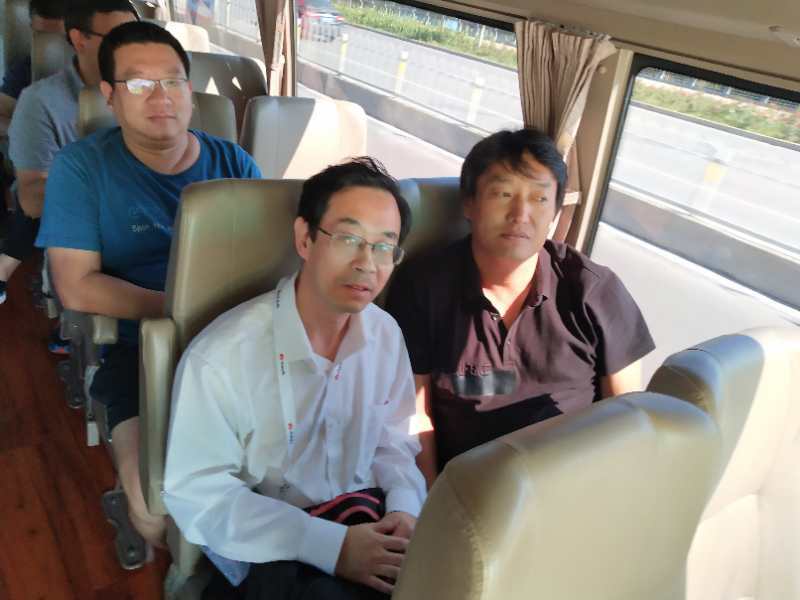 On the afternoon of September 7th, Mr. Zhao Li accompanied the delegation of Baoshan Municipal Government to visit Huawei Jining Big Data Center and participated in the discussion and exchange. At the meeting, Mr. Zhao Li reported to the leaders of Baoshan City, Jiang Chu, and the Deputy Secretary-General of Baoshan Municipal People's Government, Xu Wei, the latest development of our medical cloud platform, medical health big data, and Nobel Prize medical laboratory. 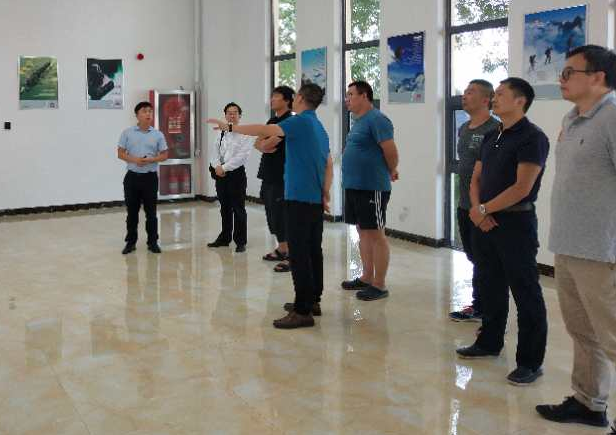 Innovative results, followed by in-depth discussions on issues such as residential rehabilitation, minority health management, and Baoshan medical industry ecological cooperation. 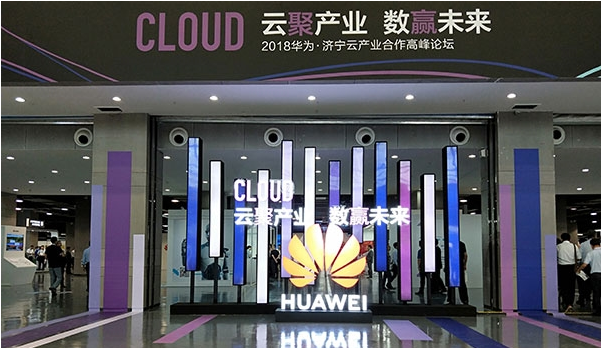 Finally, Mr. Zhao Li accompanied the delegation of Chongqing Fuling District Government to participate in the Huawei Cloud Business Conference, and reported to the leadership of the Deputy Director of the Fuling District Investment Promotion Bureau of Chongqing Municipality, the AI medical cloud platform and the Chinese medicine AI auxiliary diagnosis big data. Specific product application scenarios for products, AI physical examination & chronic disease screening big data platform. 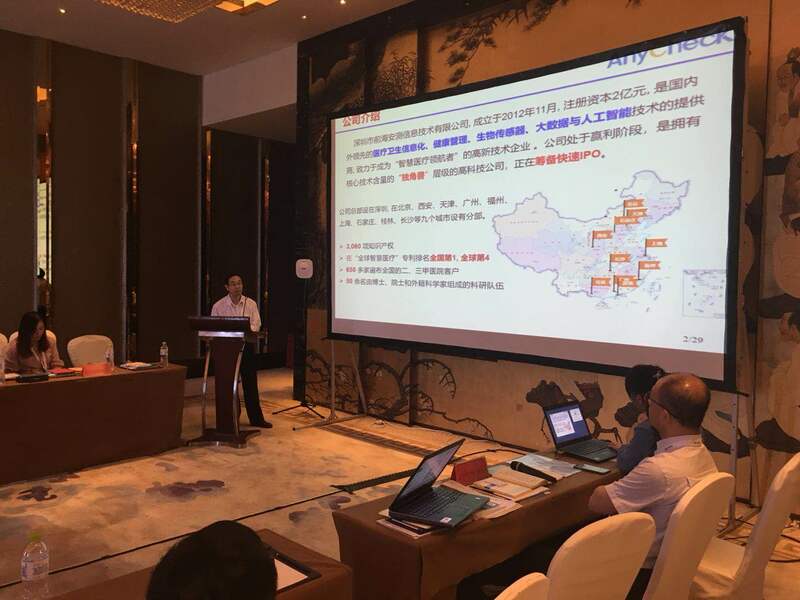 After listening to the report, Deputy Director Teng Zhi praised the AI medical cloud strength of E-Techco (Qianhai AnyCheck), introduced the basic medical conditions in Fuling District, and welcomed E-Techco (Qianhai AnyCheck) to visit Fuling to investigate and invest in Fuling Market. Through medical + big data, it will help Fuling District to help the rapid development of the big health industry! 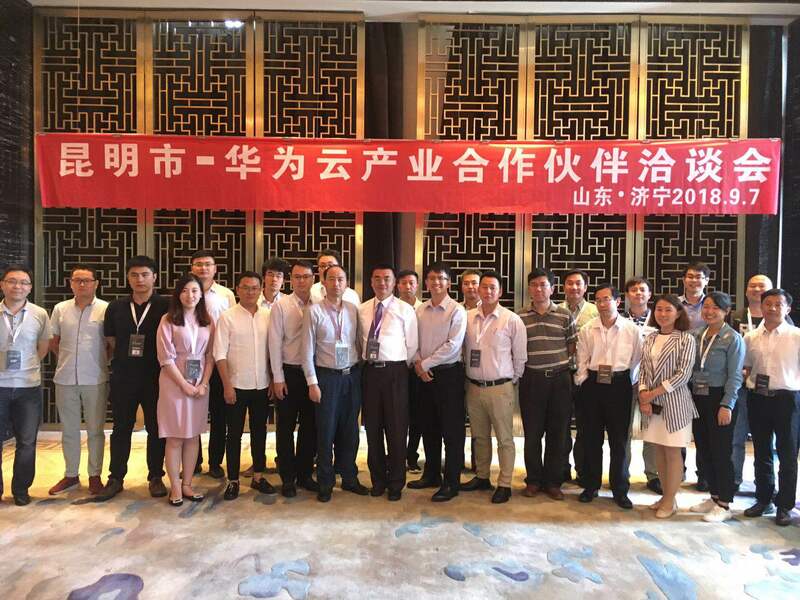 With the 2018 Huawei·Jining Cloud Industry Cooperation Summit Forum, E-Techco (Qianhai AnyCheck) has held business negotiations with the Kunming Municipal Government Delegation of Yunnan Province, the Baoshan Municipal Government Delegation of Yunnan Province, and the Fuling District Government Delegation of Chongqing. Among them, the focus will be on initial cooperation intentions with Baoshan and Kunming, and will carry out strategic cooperation in AI medical cloud business, jointly develop medical cloud solution research and development, and medical cloud market development, and jointly build a medical cloud smart pilot city and build national industrial cooperation. And the benchmarking industry base for big data applications to build a good foundation, to achieve "cloud convergence of the medical industry, win the healthy future."